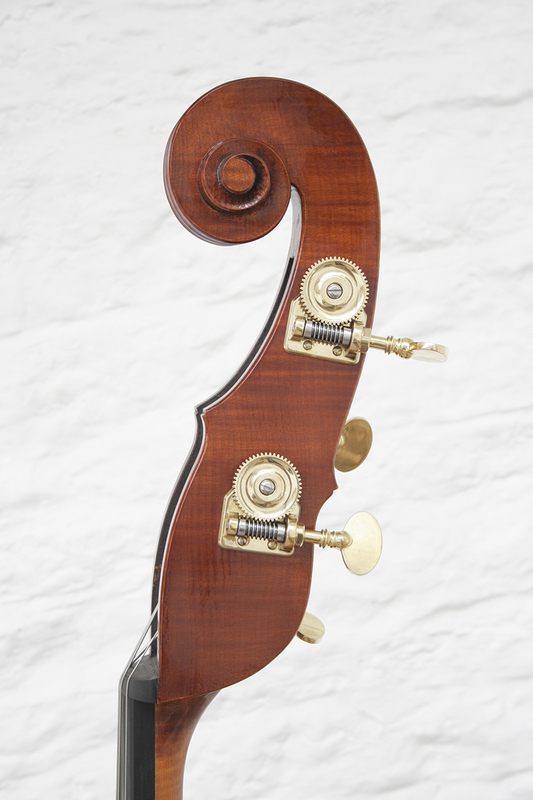 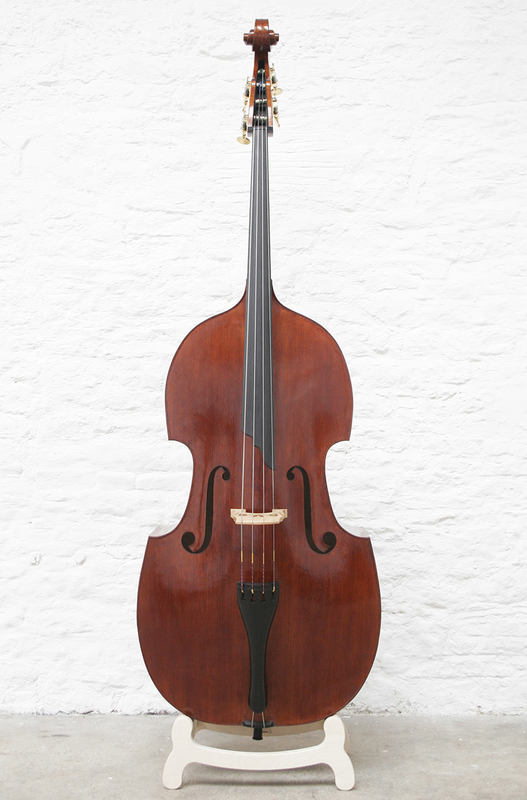 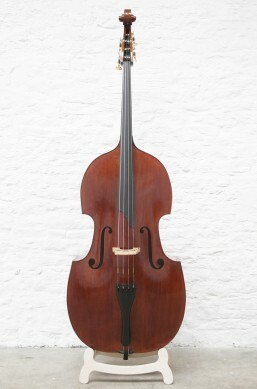 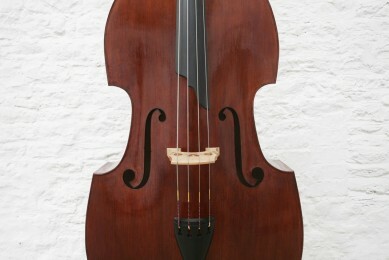 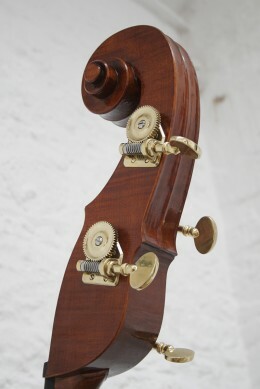 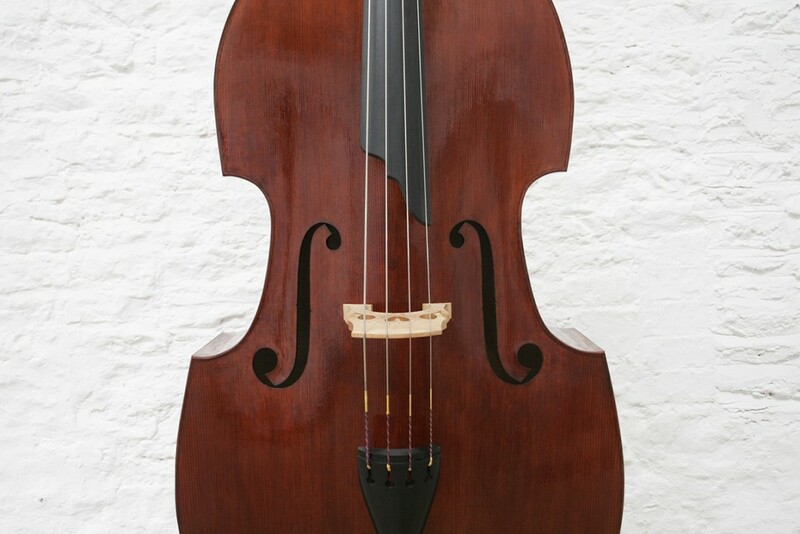 I was commissioned by soloist and educator David Heyes to copy his main bass of many years based on a Viennese design. It is very narrow and ergonomic making it an excellent solo model. 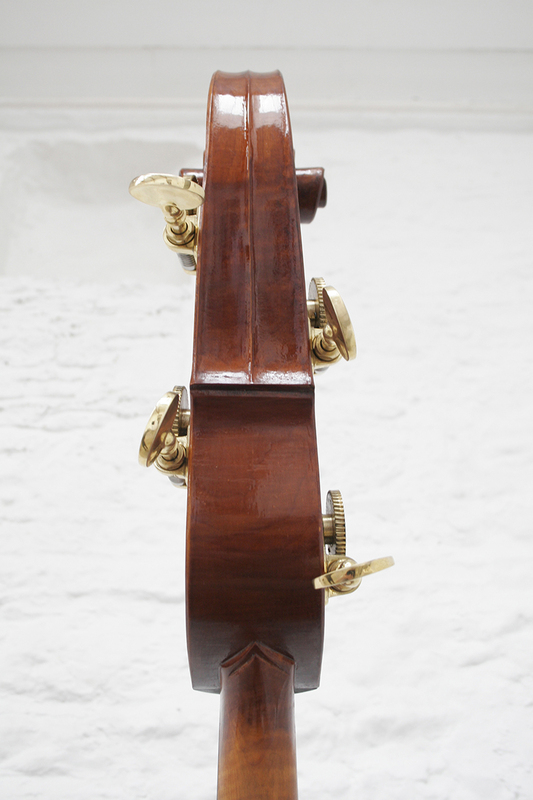 I made the body size , rib depth and string length (40 3/4 inches or 1036 mm) the same as David`s other bass so he can easily transfer between instruments. 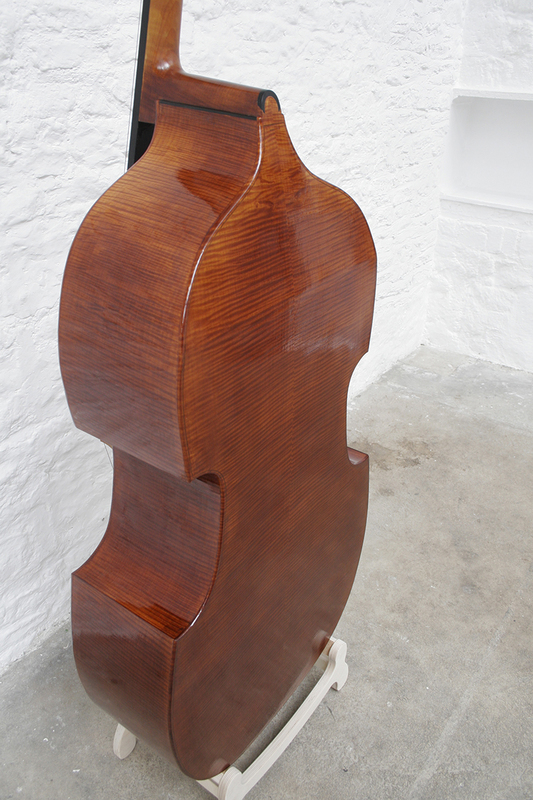 As with all commissions we picked the wood together using beautifully flamed maple and fine grained spruce.